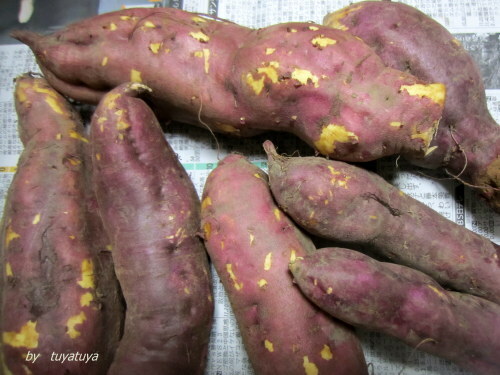 My friend gave me sweet potatoes which he raised in Kutsuki・Siga. sometimes ruined by　monkeys and deer. But this year they were saved from ruin. 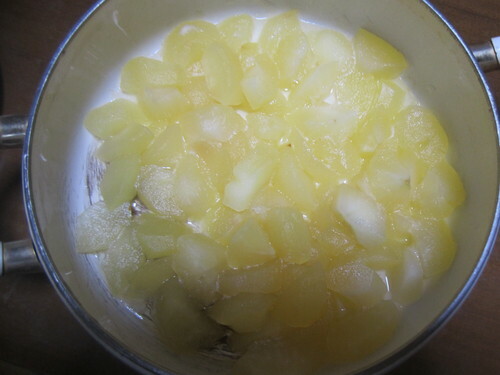 I made " Daigakuimo" with them tonight. 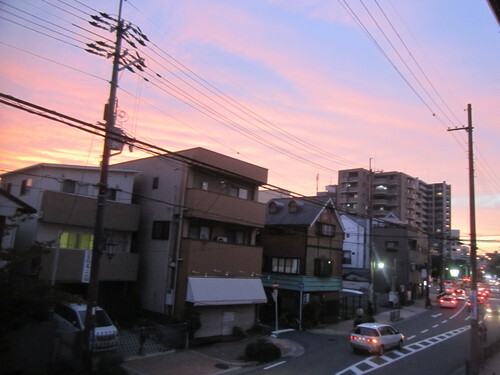 It was very nice !! migh-T by Kumiko Watari SS15 storm in a teacup is up on Fashion Press website! 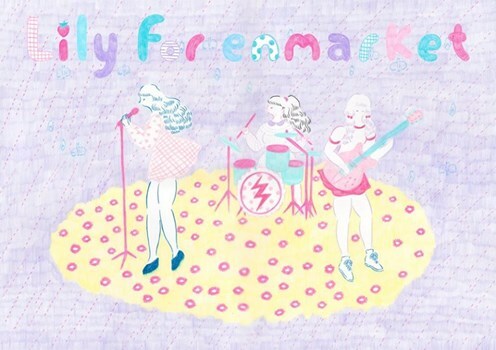 The pop-up shop Lily for enmarket SHIBUYA PARCO opens now ! Please come by if you are in town!! My friend called me to say " Please come to Suita Station. 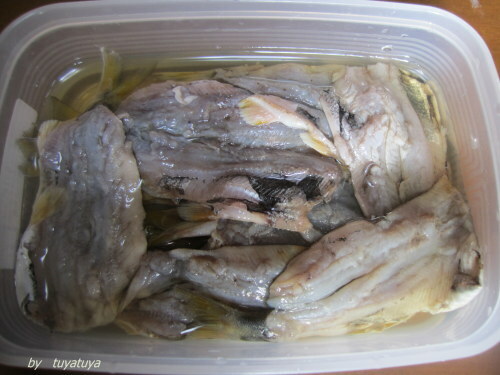 I'd like to give you some Ayu which my husband has caught." 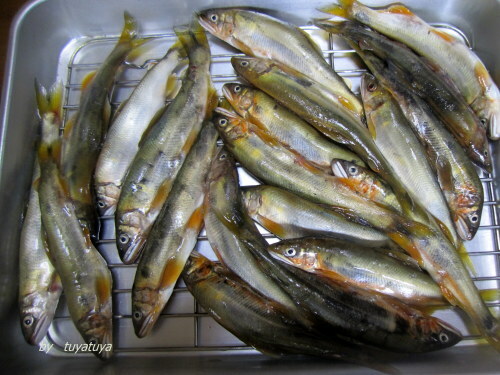 as she does each year.I heard her husband caught more than 200 ayu on a 2 night trip at Kuzuryu River in Fukui.She said to me " This is the result of 30 years of fishing. I appreciate himhaving this hobby. 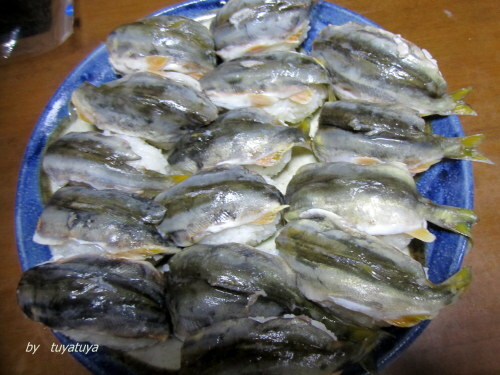 "By the way he is 83 years old.I made Ayu Sushi as she taught me. 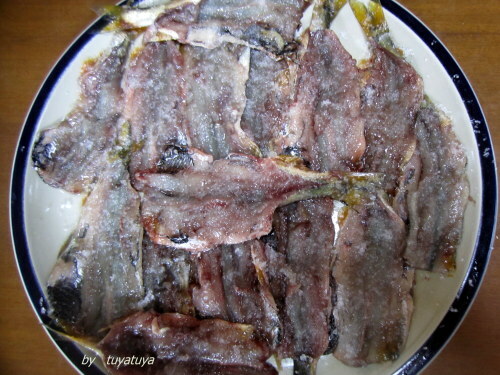 It was very delicious, but my family saidI should put less rice than I did, because they would like to taste the Ayu itself.In the same way, my friend's husband practiced to catch Ayu, I will practice cooking them. 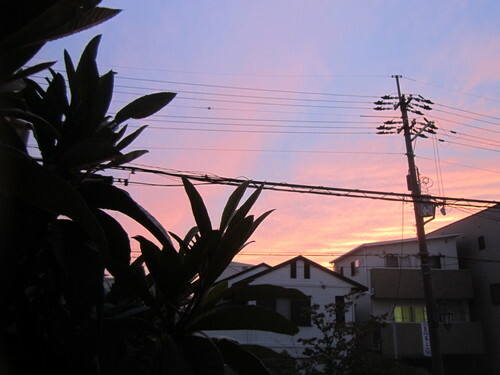 Today's sunset was very beautiful. When I saw it , I was thankful to God for my life. Picture doesn't show how beautiful the scene was in person. 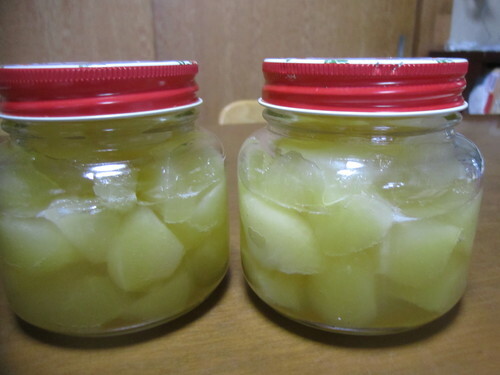 I got Kougyoku apples at the market so I made jam with them. them in salty water for a while. I added a squeeze of lemon and it was then ready. 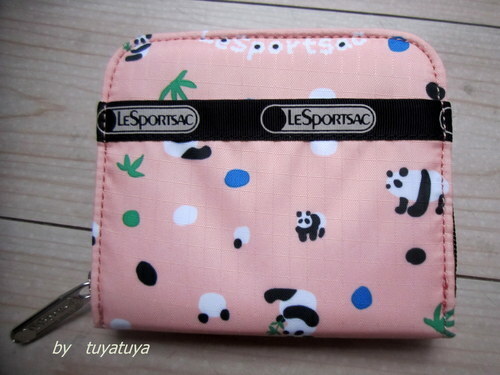 for a tea party with my friends. I used a frozen pie sheet from the market. 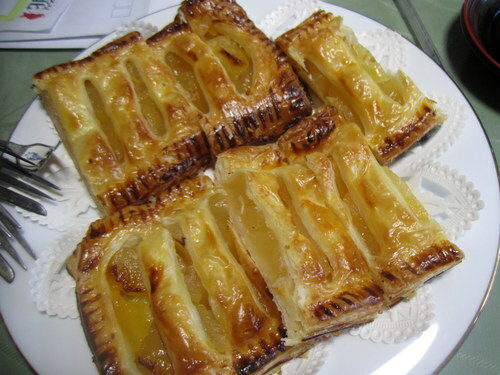 Home-made apple pie was very delicious. 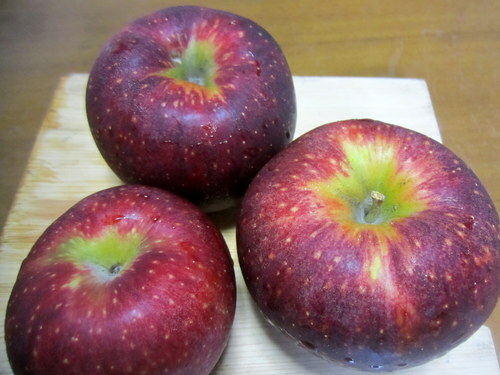 These are Akibae apples from my friend who lives in Nagano. they had to throw away apples many times until they can pick the apples. 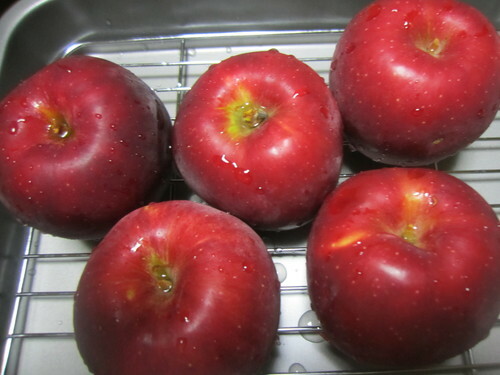 She said to me " After knowing how apples grow we can't waste them." 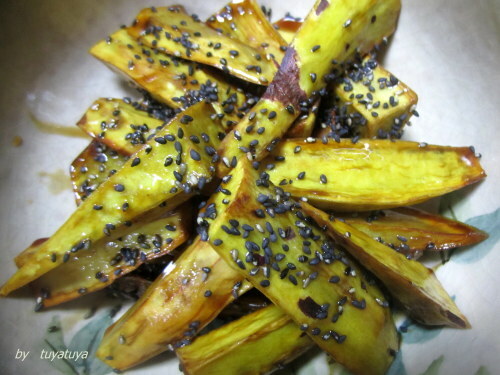 Let's enjoy the harvest of autumn.